It’s been many years since I owned a compact 1911. Honestly I’ve missed not having one for deeper concealment. I found this new Charles Daly Compact at a local pawn shop which can be a great place to find about any gun at a very good price. The Charles Daly 1911’s are made in the Philippines by Armscor the same company that makes the fine Rock Island Armory 1911’s. That in itself gave me confidence I was buying a fine pistol. As it turns out my confidence was well placed in this compact pistol. This compact 1911 has sights which are very easy to see and are modeled after Novak Low Mount sights and use a Novak slide cut as Rock Island Armory guns also use. The front sight is dovetailed into the slide. The rear sight has a set screw which can be loosened for windage adjustment. It comes with lots of features we expect in a fine 1911 these days. A well fitted beavertail grip safety is standard as is a combat hammer, match trigger and a slightly extended mag release. The magwell is also beveled for easy seating of a magazine. 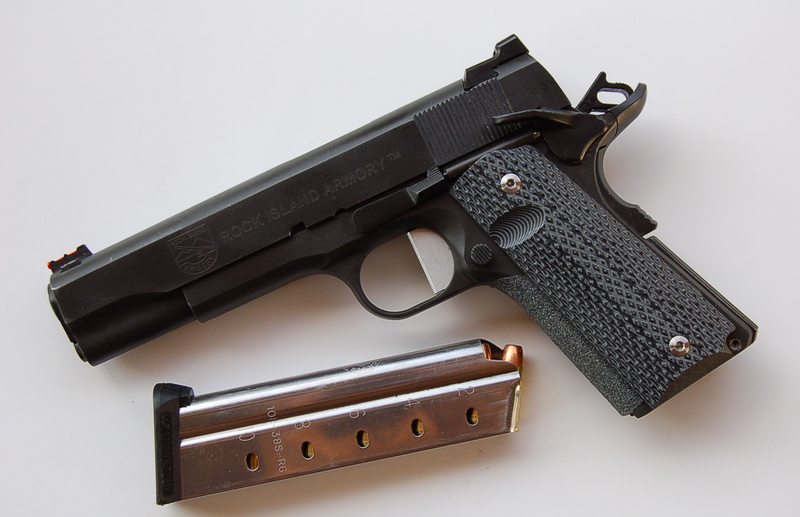 The grips are hand checkered and are the slim variety which is fitting for a concealment 1911. 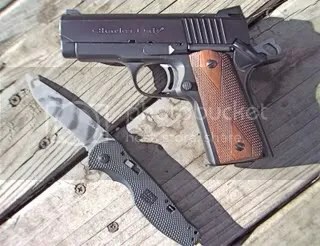 This pistol is all steel with a forged slide. The barrel is 3 1/2 inches long and has a bull barrel which does not use a bushing. The recoil system has duel springs for reduced felt recoil. This particular gun was well finished with excellent fitting of all parts and sports an attractive blued finish. These are series 70 type guns without the idiotic lawyer inspired so called safety systems of some other 1911 makers. This makes for a much better trigger pull. In fact the trigger on this gun is very crisp with little takeup and a trigger pull of 3.75 pounds. The pistol comes with two magazines made by ACT of Italy. These are the same magazines used by Novak and Wolff Gunspring company. They are excellent magazines and feed very smoothly. Of course you can also use any full size magazine in this gun for your extra magazines. These pistols also have a lifetime warranty. These days that’s rare! On to shooting. After bringing the gun home I broke it down and examined it then lubed it and reassembled it. I took it to my local police range and setup a standard police B27R reduced size target. My shooting was from the ten and fifteen yard line. I used a variety of ammo from Winchester white box 230 grn ball, Federal Hydra Shocks as well as Federal Personal Protection 230 grn rounds. I also fired one mag of Hornady 185 grn +P 45’s. I shot a total of 100 rounds. I fired my first magazine slow fire from ten yards and a second magazine also slow fire at fifteen yards then moved back to the ten yard line and fired one more magazine. Normally I never shoot slow fire but with this short barrel I wanted to see just how accurate it was. The target below shows the results. I had two flyers both of which were from the fifteen yard line. As you can see this little gun is pretty darn accurate for such a short sight radius. Honestly I was pretty impressed. I didn’t expect it to shoot groups this small. 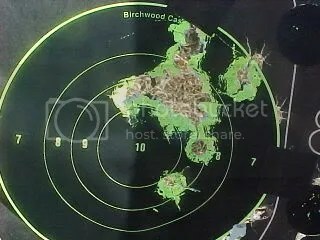 This is a Birchwood Casey 5 inch target. That gives you some idea how small this group really is! The target shown was shot with Winchester white box 230 grn ball ammo. During the entire shooting session of 100 rounds there were no malfunctions of any type. I fired some magazines as fast as I could pull the trigger and others somehwhat slower. Recoil of course is a bit more pronounced than with a full size 1911 or a commander size but by no means unpleasant. Getting back on target after a round was fired was no problem at all. The only small gripe I had was the thumb safety was a little sharp at the rear edge. I can easily take care of this so it’s not a significant problem at all. Also, mentioning the safety it functioned well and was very crisp and easily manipulated. I’m very pleased with this 1911 not only because of the workmanship but the way it shoots. This gun is a real quality gun at a great price as are all Armscor products. For anyone in the market for a small concealed carry gun with a lot of punch I can certainly recommend this one!